Japanese manga is (in)famous for long-running series. Popular titles like One Piece, Hajime No Ippo and Naruto span hundreds of chapters and dozens of volumes. Even lesser-known titles may be graced with lifespans running to the low hundreds. This phenomenon is perfectly understandable: in the cut-throat profit-driven world of Japanese manga, the easiest way to make more money is to extend a well-loved series indefinitely. In such an environment, it's easy to overlook short series. Yet short series, done well, offer an experience refreshingly similar to the old pulp stories. To be clear, I'm not referring to manga series that were axed by their publishers. I'm referring instead to tightly-plotted closed-ended series with clearly-defined start and end points. They may follow the grand manga tradition of having multiple story arcs, but these arcs tend to build irrevocably to a definitive conclusion instead of leaving room open for more chapters and more content. In this regard, they have more in common with Western-style comic storytelling, with stories running for a set number of issues per run. For the aspiring pulp-style writer, short manga offers four critical lessons. There is no room for filler in a short series. With a limited number of chapters to play with, every chapter and every scene must serve the story and the characters, be it a fight sequence, exposition, or character development. Worldbuilding must contribute to the story in a concrete fashion, instead of just being in the background for atmospherics. Kanata no Astra is a perfect example of tight manga storytelling. 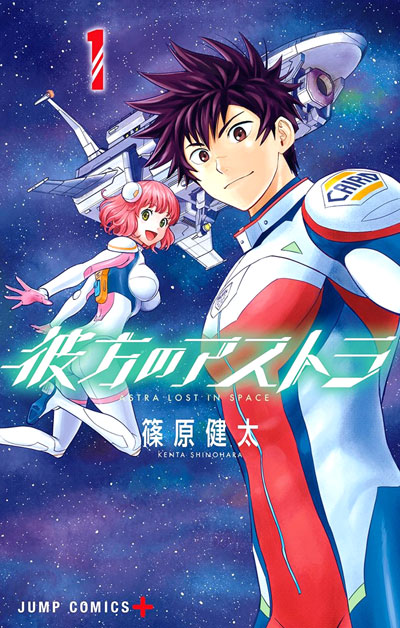 Kanata no Astra follows a group of high schoolers who are stranded in space after a mysterious sphere warps them thousands of light years from their Planet Camp. Their only way home is a long-abandoned starship in orbit around an unknown planet. To return home, they must manage limited resources, remain united, and trek a course across the stars. Once Kanata no Astra gets going, the story follows a predictable formula: fly to a planet, deal with a crisis related to the planet, resolve a character conflict in a way tied to the crisis, gather resources, plot a course to the next planet, and deal with yet another problem along the way. To break up the monotony, the author occasionally injected chapters that add detail to the story universe and characters -- all of which build up to the climax of the story. While the reader can sense the general structure of the plot by the time the cast arrives at the third planet, the author kept the story fresh and exciting by making every planet and their related crises unique, inciting conflict between the characters, and giving everyone intriguing personalities and backstories that tie into the resolution of these conflicts. By keeping to the story structure and entwining every character and story element, the author keeps the story moving without having to rely on filler chapters or lengthy dialogue to fill up space or buy time to plot the next arc. The manga industry is infamous for its delaying tactics. Fanservice chapters, allowing readers to ogle (usually) female in scanty attire (or none), are a staple. In romcom stories, you'll almost always find chapters in which the hero or heroine is on the verge of confessing or realising their feelings, only for someone else to meddle with them or for a character to get the wrong idea and spoil the moment. The publishers may be trying to squeeze as much yen out of their readers as they can, but do this too many times and the story will be dropped. To keep the reader engaged, a story must have forward momentum. Action scenes must have impact, dialogue must reveal information that motivates the characters to act, decisions must have consequences. This is especially important in quick, punchy stories written in the pulp tradition. Readers of open-ended series may forgive the odd filler chapter, but pulp-style stories do not enjoy this luxury. Excellent short manga are economical. Every page is crammed with as much plot, action, and character development as possible. This allows the story to progress quickly, while still keeping the story short and tight. Diamond Cut Diamonddemonstrates this in spades. 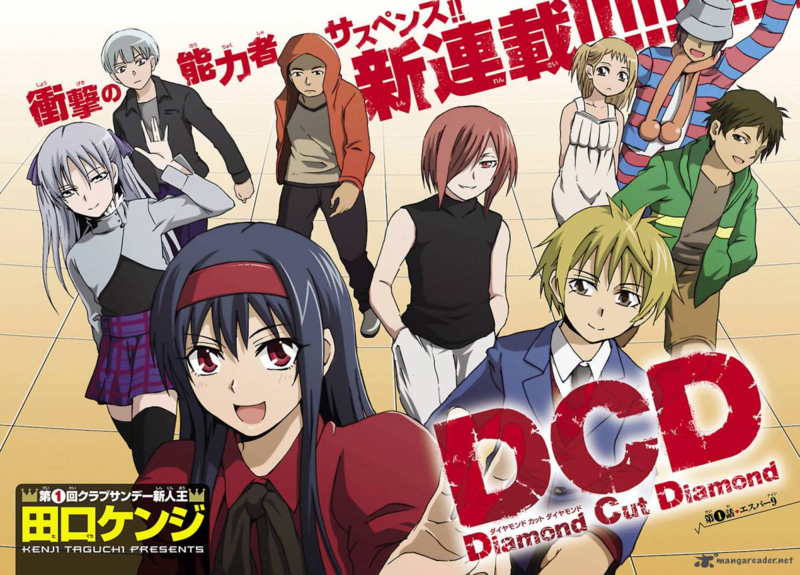 In DCD, nine young children gifted with supernatural powers are featured on a TV show titled Esper Shounen. Among them are Kurosu Keisuke and Shigyou Yuuyami. Seven years after the cancellation of the show, a murderer named 'Anti' begins hunting down the nine Espers. To survive, Kuroso and Shigyou must team up and use their gifts to find and stop Anti. 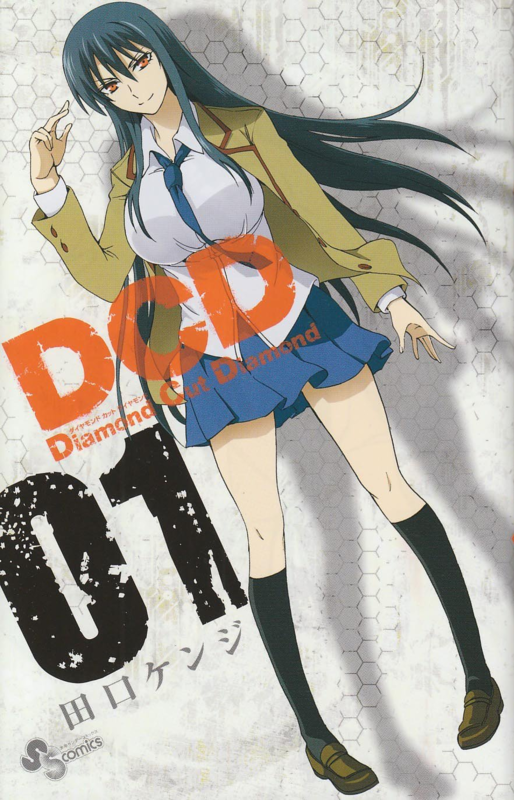 DCD is an action shounen manga, with fight scenes galore. Yet packed into the fight scenes are moments of deduction, character development and plot-critical dialogue. When Kuroso and Shigyou aren't fighting, they are investigating the murders and tracking down the whereabouts of their former co-stars--but so is Anti. By maintaining its momentum, DCD keeps the reader engaged on every page. It's not just the fight scenes, the investigations, the sharp dialogue or the character interactions that make the story. It's all of them combined in every chapter, with each element building up to the next plot point. This economical storytelling, combined with forward momentum, keeps the reader hooked until the end. Characters make or break a story. Without characters a reader can be invested in, it's unlikely a reader will continue to read a story past the opening chapter. Short manga keeps the spotlight firmly on the main characters, their personalities, and their character growth. To maintain interest, short manga demands compressed and accelerated character development, further enhancing the sensation of forward momentum. Going back to Diamond Cut Diamond, the focus is squarely on Kuroso and Shigyou. Despite being separated for seven years, the bond they built during their TV remains. This shared history, trust and mutual affection shows up repeatedly during the story. They watch each other's backs, intelligently using their powers in concert to overcome their opponents. They don't spend pointless panels bickering or arguing; they think quickly and act swiftly, and never turn on each other. They know each other so well that they can communicate with each other in a single glance. And all this happens in the middle of action scenes! The bond between them is the beating heart of the series, and informs their interactions with everybody around them. In the face of deceptions and lies, they remain true to each other, and through unspoken communication, they lay traps to expose and overcome the enemies they face. Without side events, minor characters or worldbuilding elements to distract from the story, the spotlight is on the main characters, providing perfect opportunities for drama, intrigue and character development. We see this again in Kanata no Astra, with each crisis forcing the crew to work together to survive and resolve their interpersonal conflicts, and in the process surfacing new plot-critical information. Once again, this keeps the momentum going, guiding the reader to the resolution. Short, tight, closed-ended manga can be planned far more readily and easily than long open-ended series. This allows the creator to control the pace of action and pull off twists and cliffhangers at precisely the right moment. 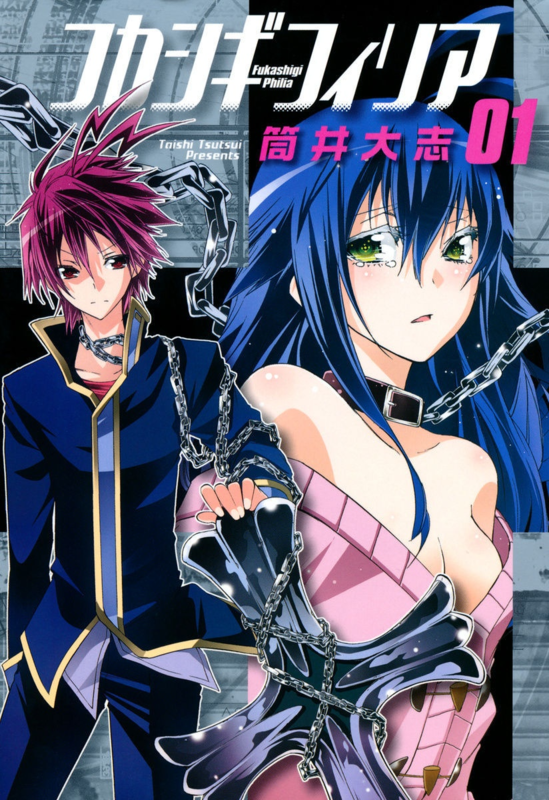 On first glance, Fukushigi Philia appears to be a standard action shounen manga featuring high school vigilates who rescue a victim of a human trafficking syndicate. However, as the story unfolds, the characters' pasts are explored, revealing the manga for what it is: a dark psychological thriller. But that's not all. Just when you think you have a grasp on the antagonists and the plot, the author drops more revelations, rapidly changing the plot again -- and revealing the true meaning of the title Fukushigi Philia. The plot twists in Fukushigi Philia are breathtaking to behold. Kanata no Astra pulls off a similar feat three-quarters of the way through. Just as the cast prepares for the final leg of their odyssey, a truth bomb flips the entire manga on its head, giving new meaning to previous events. Successful plot twists require three elements. The set up, the delivery, and the consequences. All three must be perfectly timed and delivered to make an impact. It is much easier to do this with short, tight stories, as there are no extraneous plot threads, subplots and side characters to manage. This in turn shortens the planning phase, allowing the author to quickly deliver the story to the market. While there's certainly a place for long-winded open-ended manga, the kind that dominates sales charts, there's much to learn from short, punchy manga stories. Tight storytelling. Constant forward momentum. Character focus. Organic and impactful plot twists. 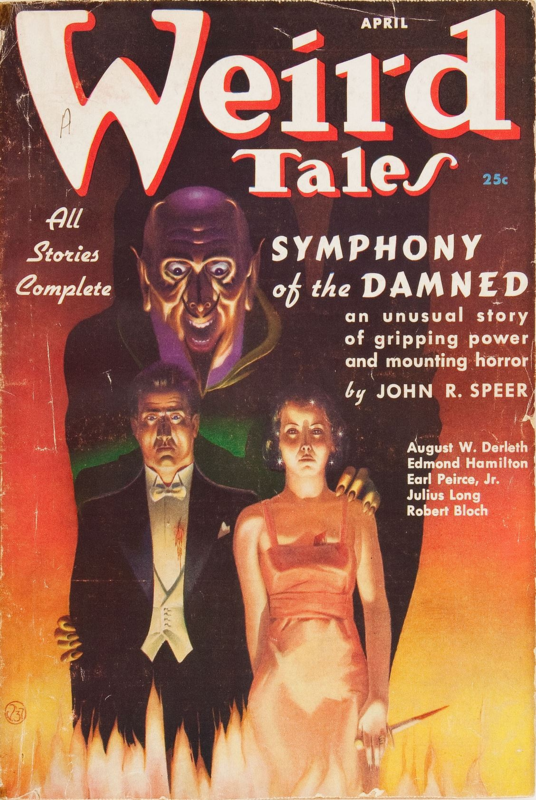 These are the pillars of effective pulp stories, the same elements pulp-style writers should strive to accomplish in their writing. These elements aren't limited to the pulp greats alone; to see them employed in modern times, you could do well by checking out some of the best short manga out there. If pulp-style action adventure is up our alley, check out Silver Empire's HEROES UNLEASHED Kickstarter! To stay updated on future stories, news and giveways, sign up for my mailing list here and receive a free novella!